Our team consists of 5 full-time players, 1 coach and 1 manager. Vulcun was initially an amateur team (FeaR) that went through qualifiers and made it into LCS, the first-ever professional league organized for eSports. Think NBA, but for video games. And judging by the viewership numbers, it already gets more viewers in a season than the NHL. So yes, its big. Being part of the LCS is great financially. You get a central contract with Riot Games that entitles you to receive funds each month during the course of the regular season Mar – August (can’t discuss specifics obviously). This can help the players get real salaries immediately, and help in setting up a gaming house, something which all pro-gamers want to do. You can also expect to get sponsorships from companies looking to target the M13-28 market, something which gaming does better than almost anything else. Putting a team together also means that you’ll be giving the players a regular monthly salary (if the team is any good). This is not as large as Riot, but since it comes directly out of your pocket, it hits the bottom line immediately. Contracts with players will also include things like Revenue sharing on streaming, prize money, endorsement deals etc. It’s best to organize a separate LLC to handle all this. However since I was doing this as a hobby and not professionally for money, it was too much hassle for me to organize a separate company, separate paperwork, separate bank accounts etc. I just handled it through my existing startup. The funds from Riot initially helped in setting up the house and moving the players in. However, since we were a new gaming organization, we didn’t have any real sponsors in the first 2 months. That meant we lost $10k+ each month during months where we had no sponsorships. Eventually as the team started winning, and we became more organized with our social media campaigns and sales, we started to get some sponsors: Techbargains, MLG/NOS, iBuyPower, LOLClass, PWR Clothing and Razer. I am grateful to all of them for their support. There are 2 main sources of revenue for eSports organizations: Sponsorships, and a % of streaming revenue. One requires a solid fan base+solid sales. The other requires celebrity-like, popular and entertaining players who have amassed a large following of fans that will watch them stream online. To succeed financially, an eSports organization has to be VERY good at at least one of these areas. Fnatic, EG, Curse, CLG and TSM are good examples of orgs that pulled it off. Ironically for us, when we lost Aprhomoo to CLG, we were an amateur team (FeaR). Even though we became Pro later by getting into the LCS, we still made less money each month than before as FeaR. Weird, right? You’d expect Pro teams to do better financially. But it wasn’t the case. This was because Aphromoo has a fan base and stream regularly. None of our other players did. So our streaming revenue immediately went to $0. Given that we were rookies to the Pro scene and nobody knew our players at the time, I asked the team to forget about streaming this entire season. I told them to take 100% of their time, and just focus on winning. Winning would bring them fans. And enough fans, eventually, would bring in sponsorships and streaming ad revenue. So as a result, unlike most other pro teams, our contracts have NO streaming requirements. Players can do it for fun if they want to in their spare time, but nobody is contractually required to. This means they have more time and mental white-space to focus on scrims, strategies and teamwork. I believe that strategy has worked out well. With good coaching and really hard work put in by the players, our team has produced some amazing results. They started the season at the bottom of the league (0 – 5), and finished the summer split in #2 (20 – 8). 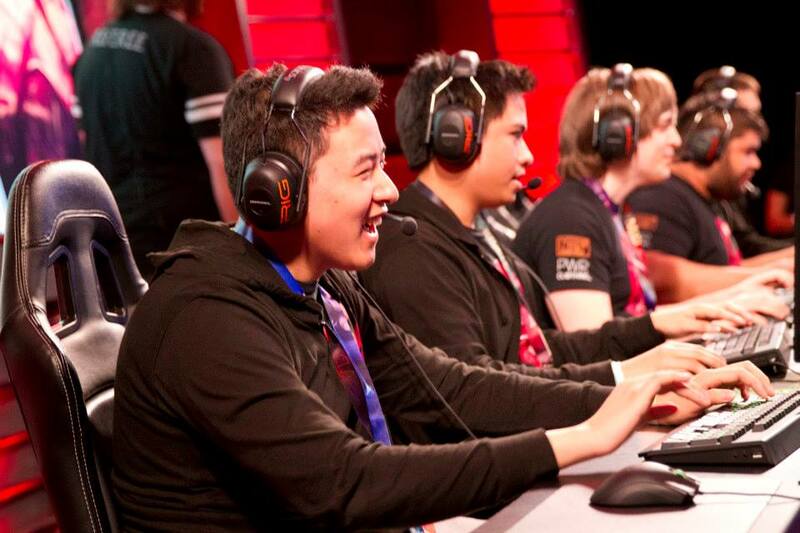 Vulcun, along with Cloud9, are the rookie upstarts of the season. We edged out established Pro teams like CLG, Dignitas and Curse to secure a spot to the World Championships this year (see pic above). Now that the results are here, I’m hoping that revenues will improve as the team has more visibility, more fans, and street-cred. Our combined social media fan-base has finally crossed 100,000 followers (twitter + facebook). And given the team’s solid performance so far at Worlds, a lot more people will want to watch them stream during the off-season too. Now I’m going to back to cheering on Vulcun, TSM and Cloud9 to represent America at the championships. GG NA FTW!! !